On Friday 10th March staff and students gathered together to take part in the National Union of Students’ Blackout campaign. 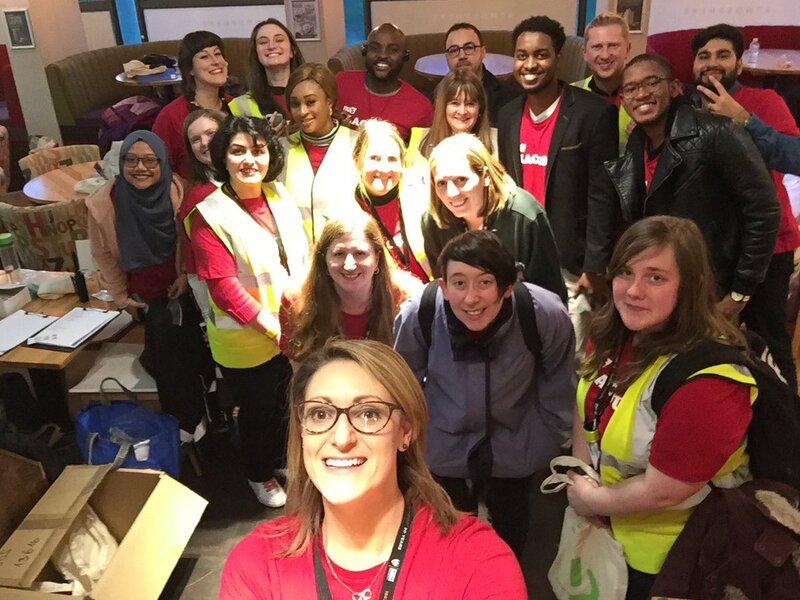 After a brief training session and donning their Blackout t-shirts, the volunteers split into teams and went to audit non-essential lights and equipment in their allocated areas. The teams noted down the total number of each type of equipment and the number left on unnecessarily, whilst also switching off certain items such as lights and computer monitors. 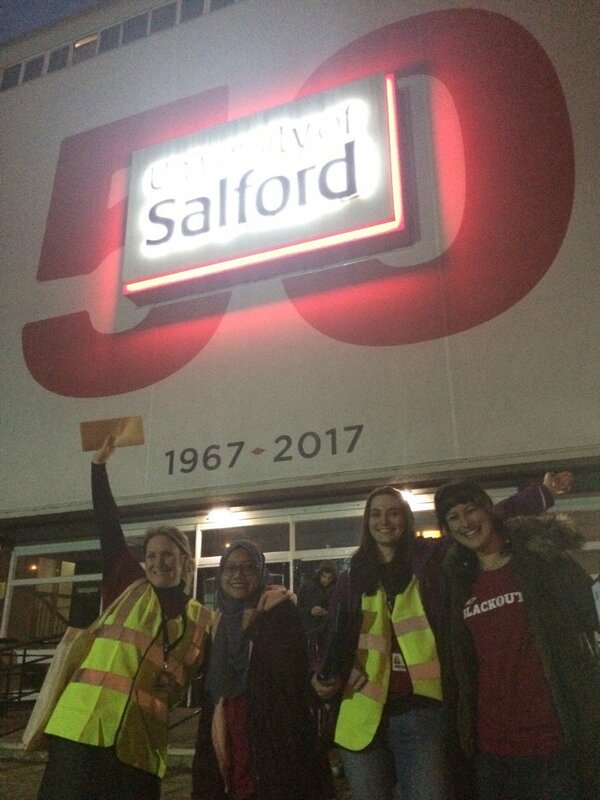 Over the evening the volunteers audited Maxwell, Gilbert Rooms, Peel, Newton, Allerton, Crescent House and The Old Fire Station. If you work in one of these buildings you may have found a note on your desk or under your door thanking you for switching off or reminding you to power down at the end of the day. After the audits the teams returned to Atmosphere café where they were rewarded for their efforts with pizzas and drinks. Analysis of the data collected shows that 35% of computers, 30% of monitors, 15% of projectors and 37% of manual lights were left on unnecessarily in the areas audited. Assuming that this is the case across the whole University, there are opportunities to save £72,869.60 and 393,931 kilograms of CO2 a year if these computers and monitors were switched off over weekends. That’s the equivalent of emissions from 83 passenger cars driven for one year! Savings would be even greater if lights and other equipment were also taken into account and if items were switched off on weekday evenings too. 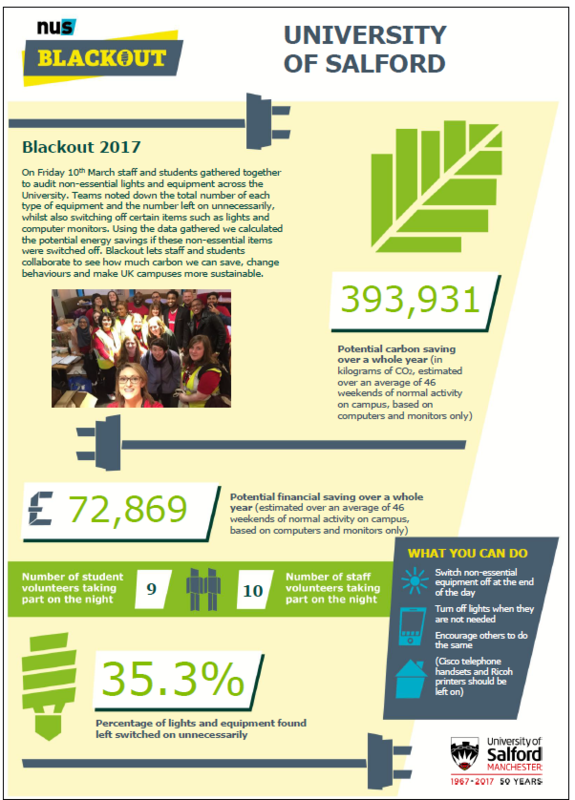 Thanks to all the staff and students that took part in the Blackout event and to everyone that regularly switches off non-essential items.